For 13 long years, Malia Cole has struggled with a constant, splitting pain on the right side of her ribs. "It feels like there's a balloon blowing up in my rib cage all day," said Cole, who has two young daughters. "You just can't think about anything else, because it takes all your attention." To treat the pain, Cole and her doctors have tried acupuncture, biofeedback and even surgery to remove her gallbladder. So far, only one approach has made her pain tolerable: opioid painkillers. "I'm glad that I have a med that works for me, because I live a very normal life," Cole said. "This is a life or death situation to me really, because to me life is not laying in my bed all day,"
Cole is just one of tens of millions of Americans who suffer from some sort of chronic pain. The cause can be anything from fibromyalgia to spinal injuries to mysterious conditions that doctors can't even diagnose. But what they all have in common is that they experience pain that debilitates them. As the public realized the risks associated with opioids, which now kill about 40,000 Americans each year through overdoses, officials and doctors have scrambled to restrict access to the drugs. There's also strong evidence that opioids are usually not an effective treatment for chronic pain in the long term. That's left some chronic pain sufferers, like Cole, who say they have been treated successfully with opioids for years, panicked at the prospect that they won't be able to get the medication for their pain. "It's a really tough position to be in, that they want you off of them," Cole said. "They're not going to support you in doing that, and the other therapies you may need while going off of them are not available to you or are too expensive to use." Just a few years ago, a new doctor was encouraging Cole to cut back on opioids. Cole told the doctor that she was trying, but struggling with pain. "She was like, 'Well, I just know you're going to die. We're just going to find you in your bed one day and you're going to be dead. And how will your children feel about that?' " Cole said. "I can't tell you how long I cried and how upset I was from that doctor approaching it that way. It was really harmful." Opioids are the family of drugs that includes everything from street heroin to synthetic fentanyl to painkillers like Oxycodone. With any opioid, there's risk of overdose. Across the country, opioid overdose deaths started to skyrocket in 2000 and haven't stopped rising. One response by the medical industry was to cut back opioid prescriptions, which have been falling since 2010. Halena Gazelka, an anesthesiologist at the Mayo Clinic and chair of the clinic's opioid stewardship program, said there's still room for physicians to trim the amount of opioids they prescribe. A recent survey at Mayo found that 43 percent of patients had leftover opioids after their treatment. "We know at Mayo that we were overprescribing opioids, and we are responsible to change that," Gazelka said. Policy makers have also responded to the opioid epidemic in ways that affect how doctors like Gazelka do their jobs. The Centers for Disease Control and Prevention released guidelines in 2016 saying that opioids aren't an effective treatment for chronic pain. Recently, the agency that administers Medicare instituted new opioid prescription limits. 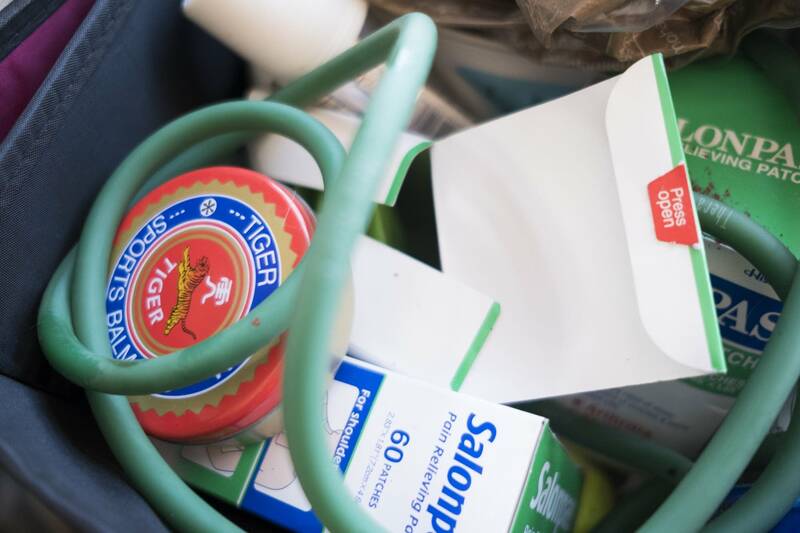 The danger, which Gazelka said the pharmacy at Mayo has already encountered, is that these guidelines will be used to limit the care doctors can provide. 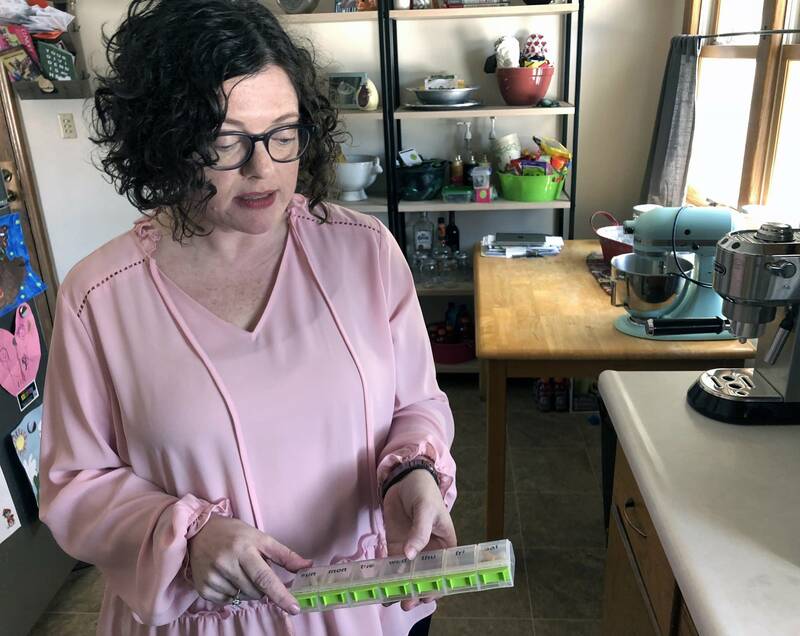 "They were meant to inform how to prescribe, they were not meant to legislate behavior," Gazelka said, "not to be used by insurance companies to limit what patients can get or by the government in making laws about what I can prescribe." Despite many improvements in how doctors prescribe opioids, Gazelka worries the pendulum may now be swinging too far in the other direction. "What I worry is that primary care providers in particular are going to get scared in prescribing for patients for whom they've previously been prescribing, restrict access, and those patients aren't going to have great alternatives," Gazelka said. Dr. Marv Seppala, chief medical officer at Hazelden Betty Ford Foundation, worries doctors may stop prescribing too suddenly, which could push patients toward dangerous and unpredictable opioids on the street. "People are going to go into withdrawal, no doubt about it, and they're going to have more pain, perhaps partially from their own chronic pain, but certainly from the withdrawal," Seppala said. Doctors need to be aware that they do have a lot of tools at their disposal to help patients, Seppala said. Among them are new medication-assisted treatments like buprenorphine, which can help with pain management and weaning patients off more dangerous opioids. Physicians now try to avoid prescribing opioids for chronic pain in the first place, said Dr. David Thorson, past president of the Minnesota Medical Association. But patients who have been on opioids for a long time need to be tapered off the drugs humanely. "The thing we have to be careful of is that we as prescribers can change much more quickly than those who are addicted can taper off," Thorson said. "Getting them off entirely is even better when it's possible, but there are some people who still need chronic opioids." There are also more comprehensive programs to help people with chronic pain like at the Courage Kenny Rehabilitation Institute, where Dr. Murray McAllister treats chronic pain patients. "Data just keeps showing over and over again that on a long-term basis, opioids are not helpful on chronic pain, and in fact will reduce people's functioning," McAllister said. "The longer someone takes opioid pain medications, the longer it takes to get back to work and the more disabled they become." Until opioids became so widespread, there was actually a robust system of pain rehabilitation clinics in the United States, McAllister said. The clinic's staff use these same old-style techniques to teach patients to "self-manage" their pain, including exercise, relaxation and other coping tools. The goal is to change a patient's relationship to pain. "Were there a pill or a procedure that would take pain away, that would be wonderful," McAllister said. "The data just doesn't support that there's a quick fix. But if you're willing to do the hard work of self-management, that's where the biggest payoff is." 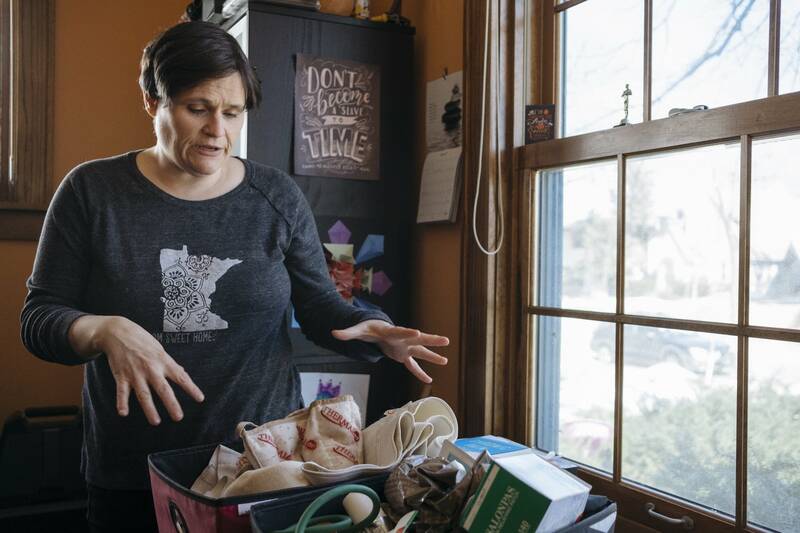 In Minneapolis, Jennifer Kane, who also suffers from chronic pain, understands the fears of chronic pain patients that they'll be set adrift. 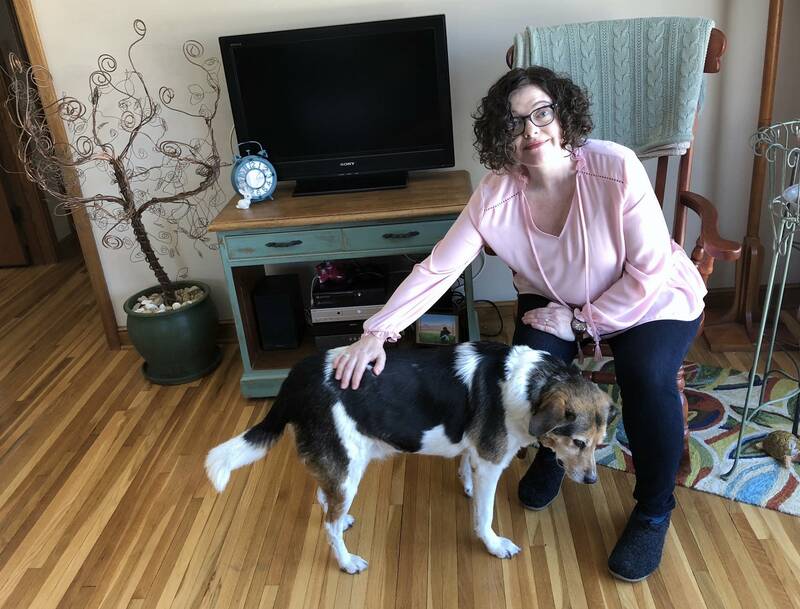 She wrote a book and moderates online forums for chronic pain sufferers, and a Twitter feed on her office computer reloads posts about chronic pain and opioids all day long. "Sitting on the front lines, people that I knew were dying, they were committing suicide, they were ODing on the drugs they were taking," Kane said. "And it seemed like they weren't going to have a lot of options, these drugs were going to be phased out." Kane was given opioids early on for her spinal problems, but she didn't react well to them. So she's had to piece together her own holistic treatment plan that involves everything from meditation to heating pads. Finding a treatment plan and lifestyle that works for her has been a long, involved and expensive process. Not everyone has the resources or time for it. And it doesn't offer the immediate or full relief that opioids sometimes can to people who are distracted by a chronic pain condition. "Now they're trying to figure out, 'Oh, I'm going to learn mindfulness, and I'm going to find a therapist and I'm going to go vegan,' " Kane said. "That's a lot to ask for a person when before you just gave them a drug that was much easier to do." Kane understands that the opioid overdose epidemic has made it impossible for policy makers not to act. But she feels like she's watching a scene from the movie "Jaws," as new policies are enacted without seeming to consider the impact on chronic pain sufferers. "At the end of the movie, their ship is destroyed by the shark, and they blow the shark up, and our two main characters are in the water," Kane said. "I feel like this is the opioid epidemic. We are trying to kill a very big shark, and we forgot that we're destroying the boat in the process, and a lot of people are going into the water."